According to Londonbus.Net's 148 page the SO's were originally attended for route 131 for the extension to Tooting. I was talking about the TN's used as I-bus floats. I remember Centrewest hiring in some ex Sovereign Darts from the V5**JBH batch that were initially used on the 183, I can't really remember now but I think it was for cover as they had a lack of Darts available for the 487. The majority of them stayed at ON but V542JBH & V550JBH made it across to UX. This batch also spent time at Mitcham Belle and I believe Thorpes as I'm sure I remember 542 running about with the yellow band above the windows whilst it was at UX. Beddington (BC) borrowed some DT class ALX400 Tridents during ibus fittment, from the same batch that are presently on the 172. 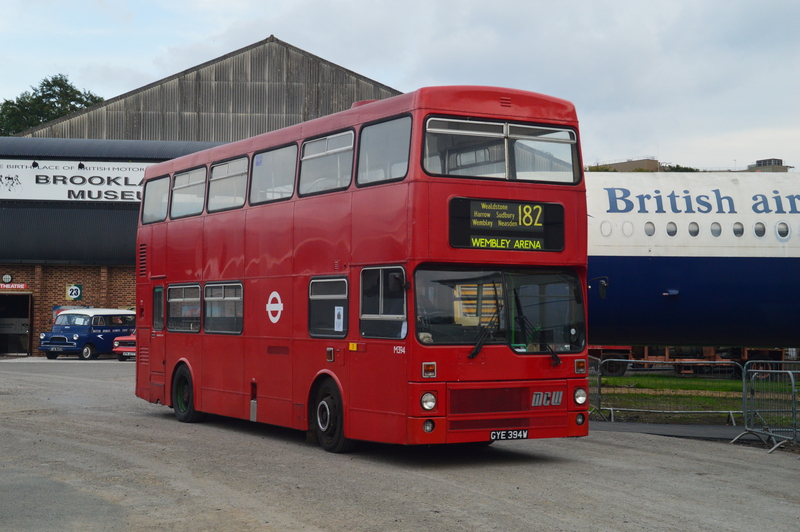 Travel London borrowed some of Metroline's euro2 engined TAs and at least one euro3 engined TPL for the 381, in connection with the ongoing East London Line railway replacement. Not Some Only 1 and that is EX Docklands SOC2. Actually it's SOC1 - and it hasn't been out for a month. SOC2 (LX08 ECE) was renamed 979 and was out on route 161 yesterday, that's the one I was referring to. Yes, I believe she was a Blue Triangle example. I seem to remember some on the 185 at one time, not sure if that was related to I bus fittings. Indeed there was around 3 TL's (East Lancs Lolyne) from Blue Triangle that was on loan at SW - I snapped one on Clapham Road on the 345. I can't believe how ugly and old those Loynes look. They look more 1991, than 2001! The Lolynes look was inherited from its older sibling the Pyoneer (Step entrance). I believe the Lolyne was ELCs first low floor decker and they carried on the Pyoneer look with some minor differences. For example the step entrance Pyoneers had the radiator at the front where as the Lolyne it was moved to the back hence why on some Lolynes you got the bumper cut out for a grill. 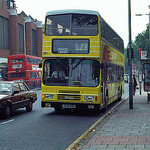 They were really nice buses when with Metrobus and did look new/smart at the time and i still think they look great. I don't know the number of this but I'll try Bs have a look tomorrow. It's spent more time in engineering than on the road since we've had it!! This thread is for buses on loan. Why? We already have a thread elsewhere about "bus transfers" which covers the topic perfectly well. Have you decided you don't like the existing structure of threads as you keep setting up new ones when the topic is already dealt with somewhere else?